I was recently invited to brunch with Benefit at Bodos Schloss in Kensington (seriously, cutest venue ever) along with lots of other bloggers to be shown their two new products, set to launch in January. As the first Benefit launch coming in the new year, I thought you guys might like to see what they've got in store. As always Benefit are always coming up with innovative products and there two new additions are no different. 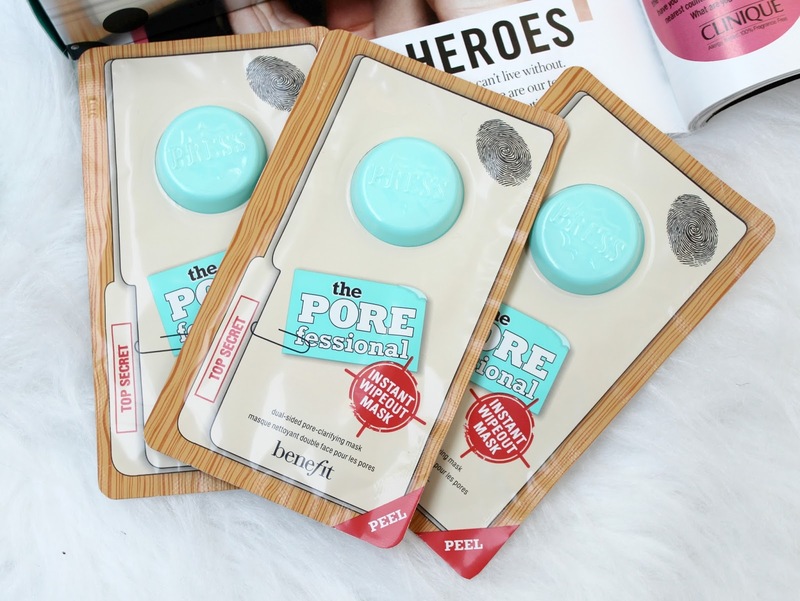 They've create two new products to add to their popular Professional range - Porefessional Matte Rescue Invisible Mattifying Gel and Porefessional Instant Wipeout Super-Cleaning masks. How exciting?! The Instant Matte invisible mattifying gel is a gel based primer/moisturiser hybrid that's applied to clean skin before makeup. It claims to 'instantly overpower shine and absorb excess surface oil' as well as give the skin a 'natural-looking matte finish' which I like the sound of as I don't like my skin to look too matte but something to help control excess oil is never a bad thing. It perhaps isn't an essential product if you have dry skin but because it's a gel formula, it feels hydrating on the skin and it can also act as a light moisturiser. Benefit recommend using it as a duo with the original Professional so the skin is well and truly pore free, shine free and prepped for makeup. The gel is blue which I found a little strange but I can assure you it won't leave you with a blue face as it goes clear when blended into the skin. I haven't given this a proper go yet as this post is more to let you guys know about the products rather than review them - however, we did get to give this a little test at the event and it made my skin feel really love and smooth so if that's anything to go by, I'm pretty sure I'm going to love this product. It's going to be priced at £21.50 which is slightly cheaper than the original Porefessional primer. Next up is the Instant Wipeout super-cleaning masks and I'm really excited about these as I've never seen anything like them on the market. All of us bloggers were oohing and ahhing over these at the event as the packaging is just too cool! 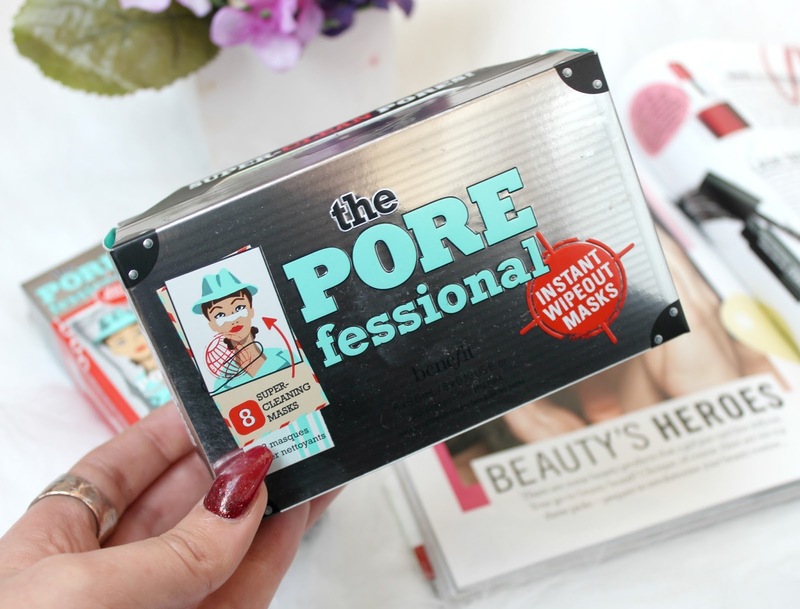 They're little sachets with a 'press' button on them and when you press it, a the pore-clarifying formulation drenches the mask - you can always rely on Benefit for innovative product packaging. You then peel the packaging apart and out pops a little mask ready to use on any areas where your pores feel clogged. 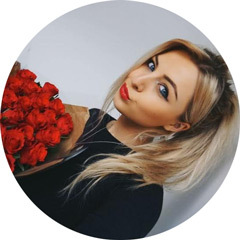 The shape of the mask would suggest it's aimed for use on the nose and tops of the cheeks but there's nothing to say you can't use it on other areas of your face if you feel like that would be more beneficial for your personal needs. The formula contains mushroom extract which is said to clarify pores and the textured fabric of the mask removes pore impurities. You can also use the mask to exfoliate with after leaving it on for the suggested five minutes. If you're someone who has enlarged or clogged pores, this could be a very handy product for you to have in your beauty stash. However, they are priced at £24.50 and you only get 8 sachets in a box so I do think they're a little bit over priced. Other than that, I'm excited to incorporate theses into my skincare routine and will report back with my thoughts when I've given them a proper try. These two products will be available to buy exclusively from Benefit's website from 15th January and will be in stores nationwide from the end of January. 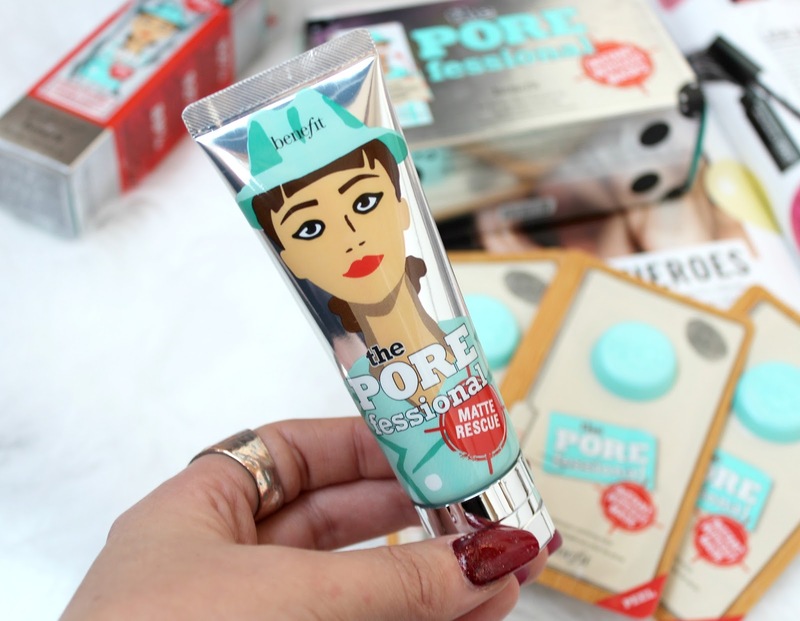 If the Porefessional primer is anything to go by, I'm sure they're going to be a huge success. Do you like the sound of them? Excited to try these out! Thanks! Both of these products sound fab, I'd love to know if they perform as good as they sound. I like the sound of the masks, I'm always up for trying new ones! i get such an annoying shine on my t-zone even after using powder! definitely interested in either giving these a go or splashing out on a MAC powder! I love the look of these masks but I definitely agree with you with the price - I am not sure I could justify that amount on just 8 sachets. I'll be interested to hear more once you've tried them properly. Pore profesional is a miracle for I need to try this as well! Both launches look amazing, but I agree with you saying that the masks may be slightly over priced. I am so excited for these new products. 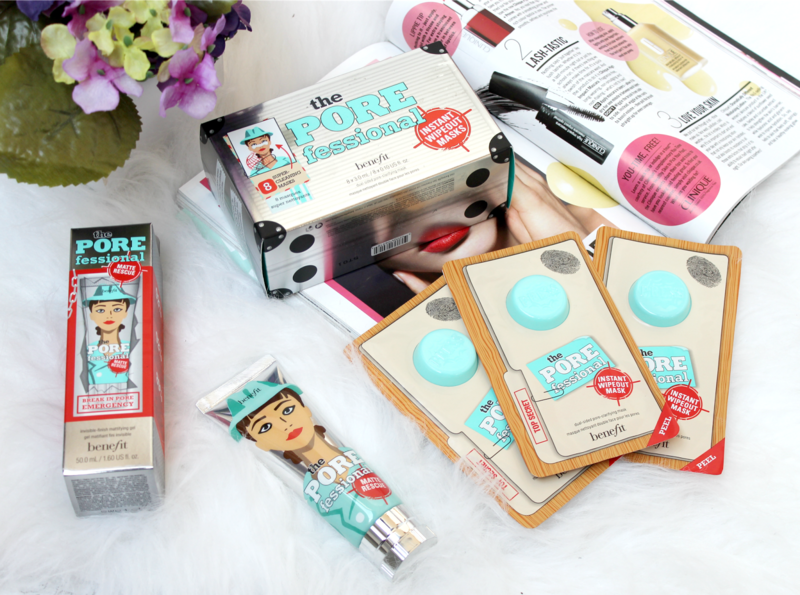 I love the porefessional, it has completely changed my makeup routine. I love it. What a great experience! I absolutely love Benefit products and the brand in general! Wow these look cool! I think I'll want to try the masks, since I have dry skin the primer is probably not the best for me...but masks, a girl can never try too many masks, right? These look great, I'd love to try more Benefit products! I really want to try the masks, I hope they do samples of this at the counter. My skins never got on too well with Porefessional! It feels just too fake on my skin and also a bit greasy, maybe the mattifying is the solution! Love the sound of the face masks I'd love to try them! Those masks look and sound amazing!